Guest and Gray Law Firm is proud to be the highest-rated local legal team. Compare the reviews and ratings of Guest and Gray against any other Plano, Rockwall, or Forney law firm, and you can see our history of customer satisfaction. We have an unmatched record of success and bring a customer-first approach to litigation. 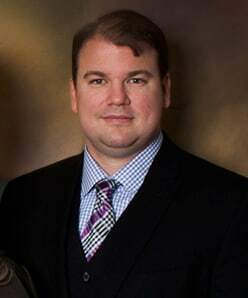 My name is Scott Gray, and I am a founding partner at Guest and Gray Law Firm. Guest and Gray Law Firm is a full service civil and criminal defense law firm serving the greater Plano including Kaufman, Rockwall, and surrounding counties. Our home office is in Forney where we first opened in 1967. We also have an office in Rockwall and Plano. Guest and Gray are winning cases like yours right now; family, car accidents, personal injury, criminal defense, probate and civil litigation. We are one of the few firms that focus on customer service. It's not enough to for Guest and Gray to have great lawyers; we have to be great communicators as well. Too many lawyers ignore their clients and resent providing updates or getting feedback from their clients. We enthusiastically approach each client as an opportunity not just to win another case (and we love winning! ), but to create a fan of Guest and Gray Law Firm. Call us now so we can help you - (972) 564-4644. Nothing is more important than your children. Guest and Gray have a team of experienced and aggressive family lawyers to help you. We have decades of experience in family law and work tirelessly to get the best result in each case. However, not all family cases need to be a battle. In cases with children, we always encourage our clients to focus on co-parenting and putting the children first. We offer a range of alternatives to contested litigation including agreed divorces and mediation. I am head of the personal injury and accident division. If you have been injured, I will help you and your family recover financially, and get the money you deserve for lost wages, medical bills, and pain and suffering. I help families litigate wrongful death claims, and I have recovered million-dollar settlements for families who have lost a loved one. I was recently named a Rising Star Personal Injury SuperLawyer by Texas Monthly. If you or a loved has been victimized by a car crash, dog bite, motorcycle accident, nursing home negligence, or a dangerous product, our injury attorneys have the experience you need. We are happy to meet with you in Plano, Forney or Rockwall. We can meet you in the hospital or even at home if you are injured and can not travel. Kaufman County is where Guest and Gray Law Firm began, and our main office is still in old downtown Forney, Texas. I went to Forney High School, and my father Don Gray has been a lawyer in Forney for over 25 years. I also grew up in Rockwall and spent many years going to school there. No other firm can match our local experience. Guest and Gray Law Firm features two former Kaufman County Bar Presidents (Robert Guest and Tracy Gray). We have two former Kaufman County Assistant District Attorneys on our criminal defense team (Mr. Guest and Mrs. Gray). The 2012-2015 State Bar Director for Rockwall and Kaufman County is Partner Robert Guest. 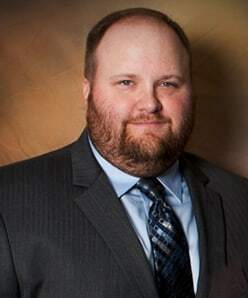 Robert heads our DWI and criminal defense division. Robert has a perfect 10 Avvo rating and has the highest possible Martindale-Hubble Peer rating. Robert is also a Rising Star Super Lawyer. When you need local experience to fight a criminal charge, Robert Guest is ready to help. Our newest lawyer Candice Hugest worked at the Rockwall District Attorney's Office. We are the law firm that won the Mesquite Annexation lawsuit, we literally saved thousands of acres for Kaufman County families. Local experience matters in Rockwall and Kaufman County. When you need the best result, you should hire the best local law firm. Hire Guest and Gray! Is Being Named a Joint Managing Conservator the Same Thing as Having Joint Custody? A question we get asked frequently is whether a client or potential client can get "joint custody"
Fill out the contact form or call us at 972-564-4644, 972-722-7567 or 214-453-0503 to schedule your free consultation.